The King may leave Miami! 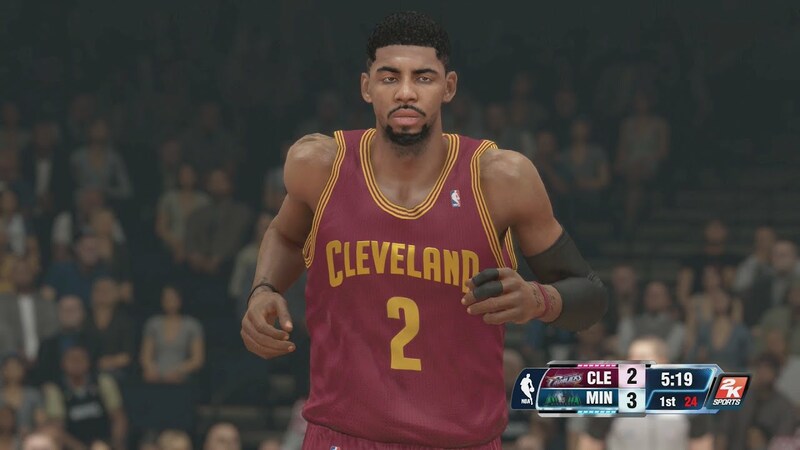 OK probably not, but you can create a super team in NBA 2K14. Last week, New York Knicks superstar Carmelo Anthony chose to become a free agent, and in a surprise twist, the Miami Heat’s LeBron James will opt out of his current contract with the team to join Melo in free agency this summer. Naturally the Internet exploded. James’ decision comes off a brutal Game 5 and championship loss to the re-energized San Antonio Spurs, resulting in wide-spread buzz that the greatest basketball player on the planet may take his talents elsewhere, despite recent words of wisdom from team president Pat Riley. Will LeBron go back to Cleveland? Is there a Melo and James tandem in New York brewing? Probably not. LeBron knows the Miami Heat as presently constructed will not win the NBA title. That said, he had until June 30th to opt out of the final two years of his contract, and likely did so to restructure his deal to allow the Heat brass to sign another high value free agent and the necessary role players to compete; on a side note, teammates Chris Bosh and Dwayne Wade have yet to opt out; not necessarily odd at this somewhat early stage. Odds of LeBron staying in South Beach are high (at least for another year), but that doesn’t mean we can’t come up with dream team scenarios, both in real life and the popular video game NBA 2K14. Here’s where you should send Bron Bron. Lob City all day! Imagine point guard Chris Paul throwing passes to LeBron and Blake Griffin while State Farm Agent Cliff Paul watches from the stands. What’s that? Chris and Cliff are the same person? Nonsense. The Bulls seem ready to make a big splash in free agency this summer, with rumors of the organization targeting Carmelo Anthony. Pair Melo and James on the same team as unstoppable point guard Derrick Rose, then rain threes and dunks from the rafters. Here’s the good news: Rose is healthy in the video game so long as you avoid all the updates. Good luck doing that on the PS4 and Xbox One. Although LeBron took less money to play for Miami, he enjoys no state income tax in Florida. Texas has the same deal, so he might as well hop a plane to Houston to team with James Harden and Dwight Howard. We don’t know if the Rockets can pull this off, but GM Daryl Morey rarely ceases to amaze when it comes to signing big names and moving the team’s money around. Of course, like the Clippers, this puts LeBron in the competitive West. Oh summer of 2010, what could have been! Thousands of Knicks fans (us included) held our heads in disappointment (all too common these days) when LeBron chose Miami over the Big Apple in his infamous ESPN The Decision. Perhaps James will finally don a Knicks uniform and give Carmelo the help he desperately needs, especially with Phil Jackson behind the scenes. Yeah right. The Knicks are so cap-strapped they can’t do anything until 2015; the team doesn’t possess a high-value pick in this year’s draft. No bargaining chips means no LeBron. Of course, you can make the most ridiculous and lop-sided trade in NBA 2K14 to make this happen. Behold the power of video games! Dominate NBA 2K14 with LeBron's offense and defense! Hear about the latest NBA 2K14 guides, exclusive content, and amazing offers! It's time to put the ball in the basket. You don't always have to play with LeBron, but it helps. Hold on, MJ. You can’t hide from Chaos in the Windy City. Bugs Bunny and Michael Jordan throwing down insane dunks. What's not to like?